When you require a call-out or repair under your boiler warranty, your cover provider may ask to see your Powerflush Certificate before authorising work. Simply log in here, using your invoice number and postcode to print or download a copy of your certificate so that you can instantly confirm that your heating system has been professionally cleaned and authorise their engineer to attend without delay. 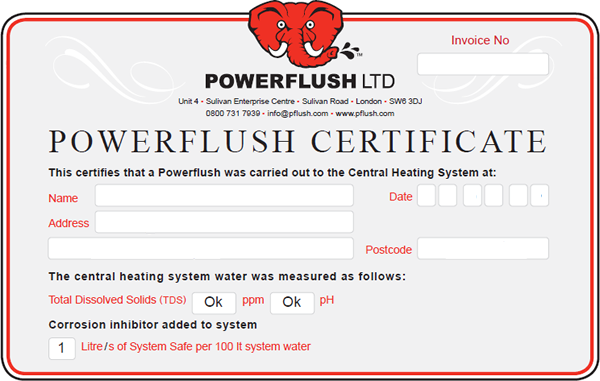 Boiler manufacturers, British Gas, Homeserve, Domestic & General etc can also view your Powerflush Certificate here.